The BT Graphite 2500 DECT Answermachine replaces the BT Graphite 1500 Answermachine. With up to 12 minutes of answermachine recording time, 50 name and number phonebook and a blue backlit display the Graphite 2500 is a great value, low specification phone with answermachine. 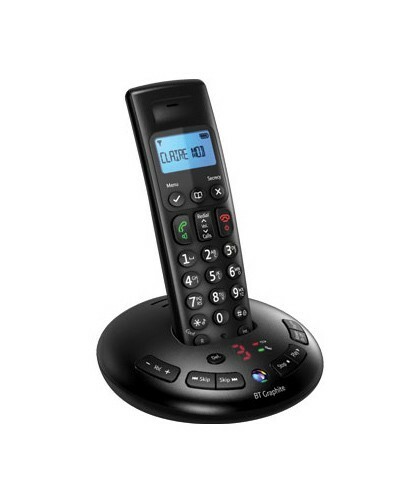 This is available with up to 5 additional handsets and is GAP compatible.